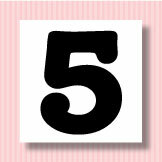 the sweetest thing...: FIVE Days Until the MFT November Release! Hello! It's time for the My Favorite Things November Release Countdown to and we have a FULL week of fantastic new stamps and Die-namics to show you. AND we have some fun prizes for you too, so be sure to hop on over to the MFT Blog to see how you can win some MFT goodies this week. All of these new products will be available for purchase on November 12th @ 10 PM Eastern. I absolutely love these bold paintbrush images from Jumbo Abstract Art and I'm all over the rainbow color pattern too. I started with a Smooth White Card Stock background and then stamped several of the brushstroke images in all the rainbow colors. To break up the stripes, I used the splatter images in Grape Jelly Ink, overlapping the other colors. 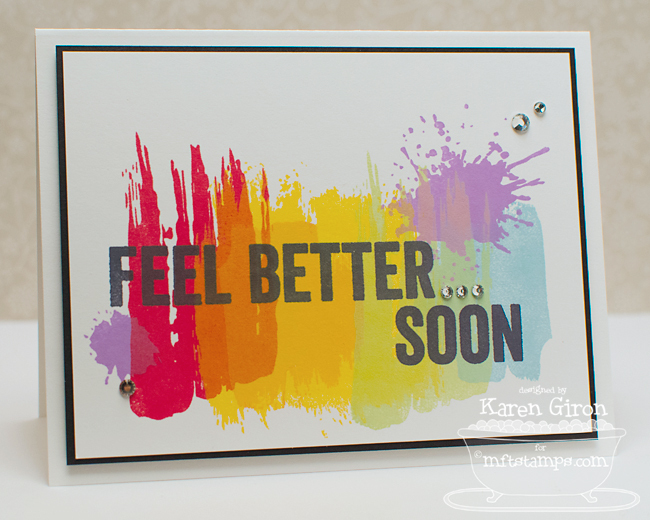 I stamped the sentiment stamps from Get Well Wishes in Black Licorice Ink right over the top of all those fun colors. I added a few rhinestones to add a sparkly accent. Here are the MFT products I used today - all of the new products will be available for purchase on November 12th at 10 PM Eastern. LOVE this!! The colours are fantastic!! what a fun sunshiney card! SO fun my friend! LOVE the colors you used!!! This card is SURE to cheer up the recipient...SO happy! What a nice bright get well card! How cool looking is this! Love it! This abstract idea is 'da bomb! Wow would that cheer you up. So bright and refreshing.